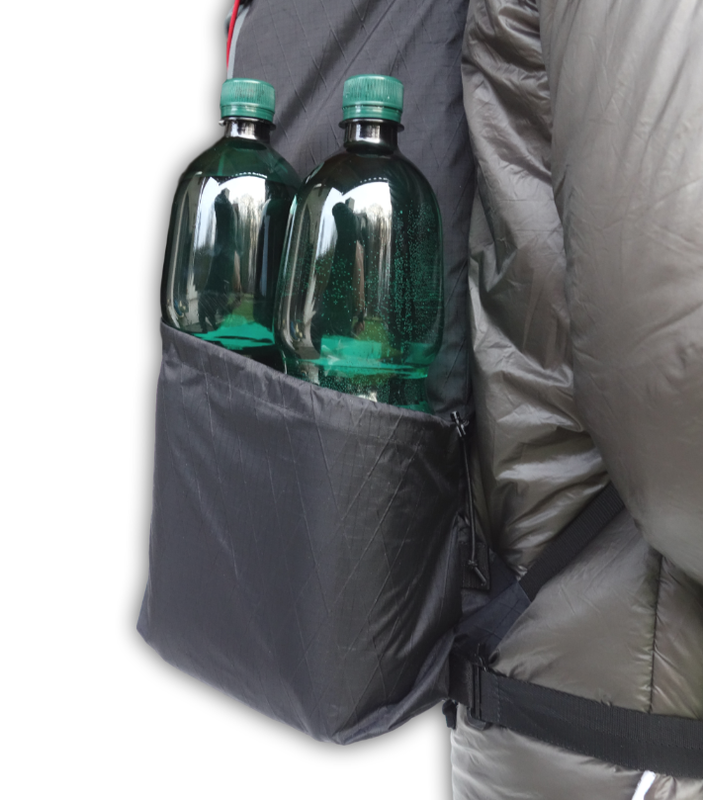 They may not look big, but each fits two 1.5 L bottles to keep you hydrated during those long dry trail stretches. 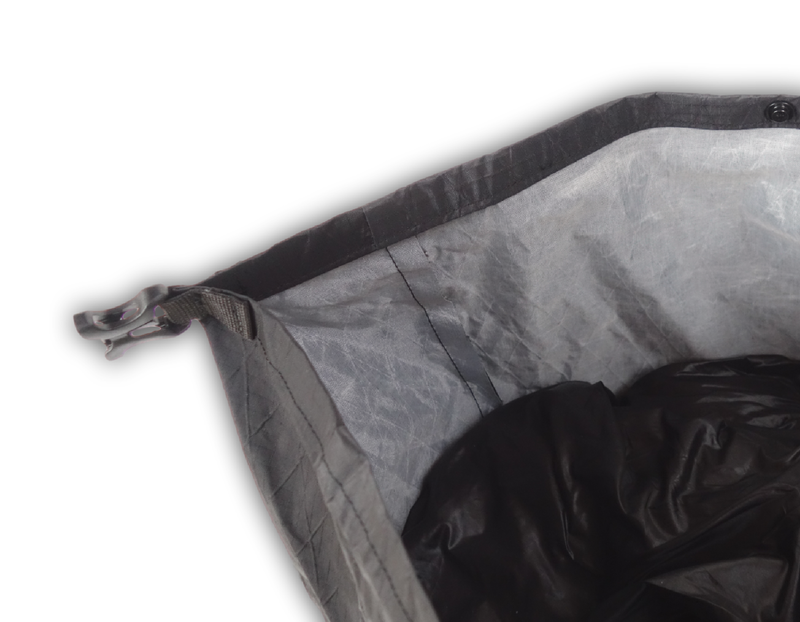 Very roomy with plenty of space so you can keep your daily necessities on hand. Image only shows the shear size of the pocket. Load it with 2-3kg max. 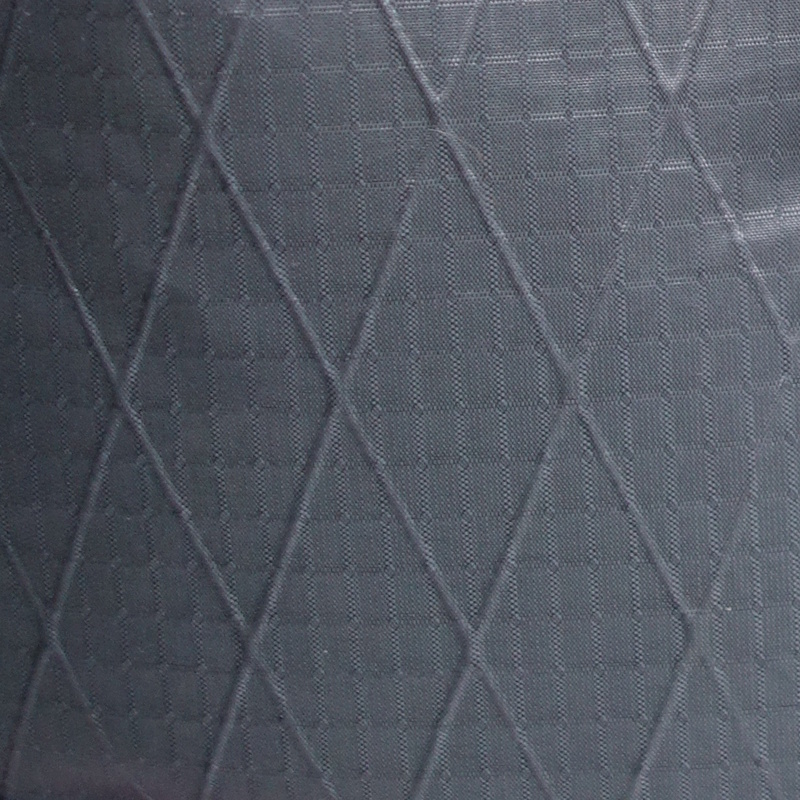 Reinforced with a thin polyamide sheet on the front side. Top strap uses super strong buckle, so you can safely use it as a carry handle. 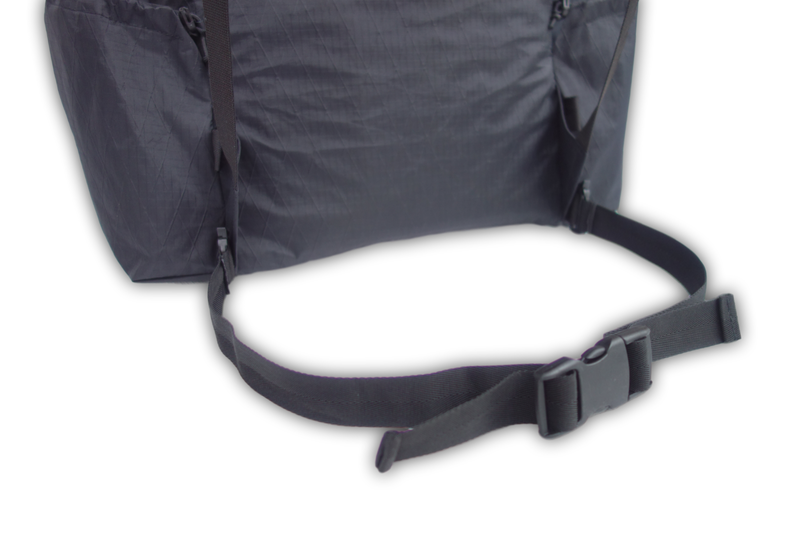 *The 210D backpack is slightly lighter, base weight with sternum strap is 295g. 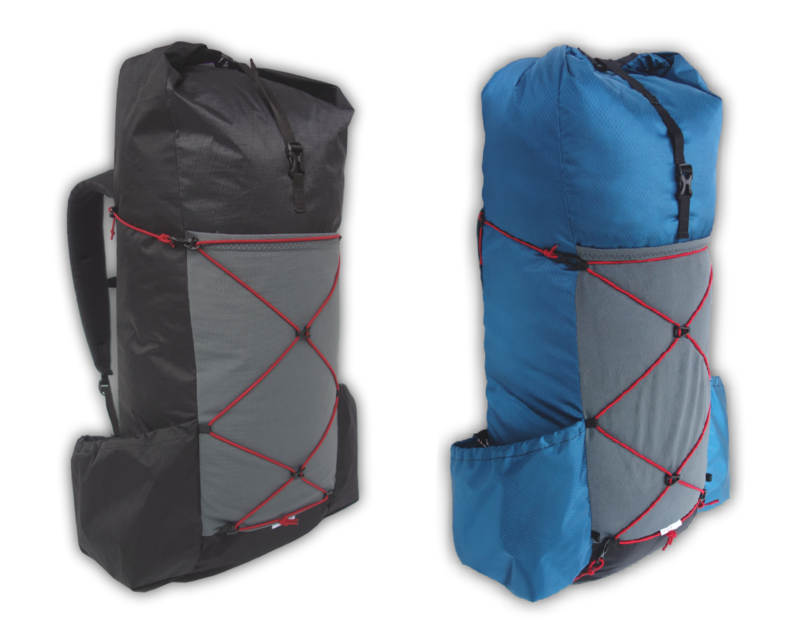 42L pack is 25-35g heavier than 34L, depends on the fabric. 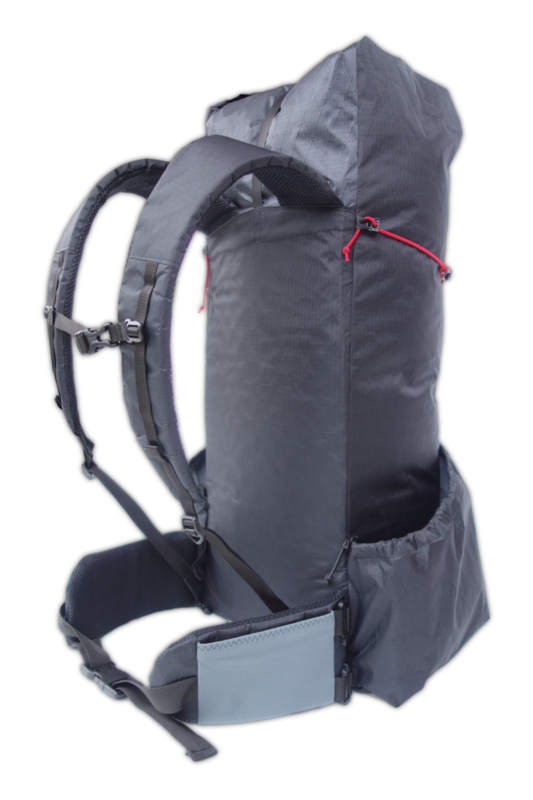 External pad attachment, thinner foam in shoulder straps (4mm), hipbelt with zippered pocket, mesh side/other pockets, hydration port, etc. 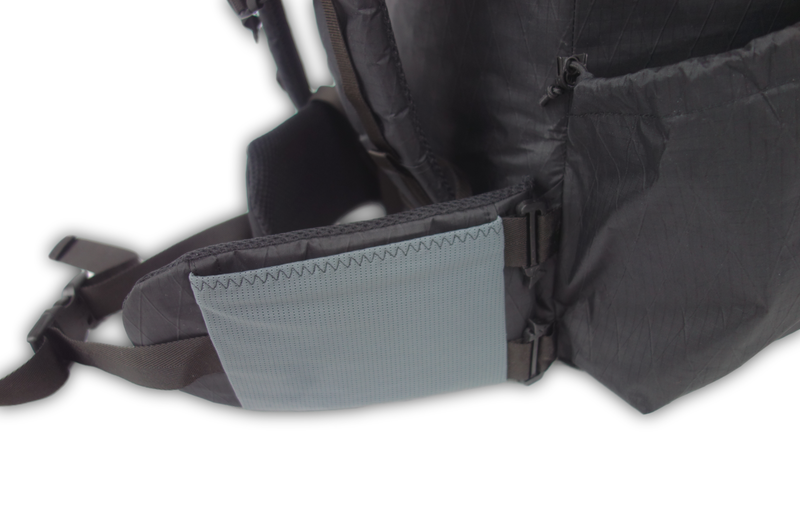 Nnew side pockets will be in black cordura 330D by default now. The pack is now a bit heavier. We can still make the old version if you wish so. 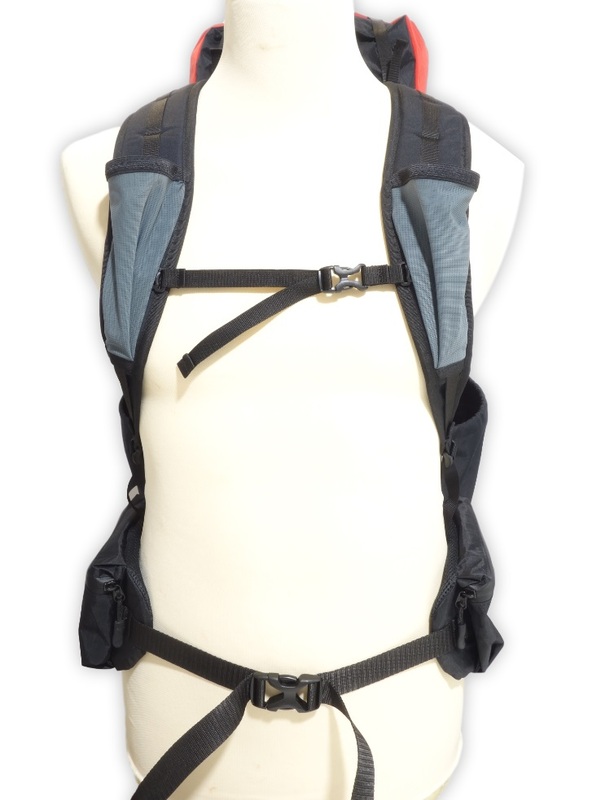 210D version uses 210D fabric same as before, it has new shoulder straps and zippered hip belt pockets. 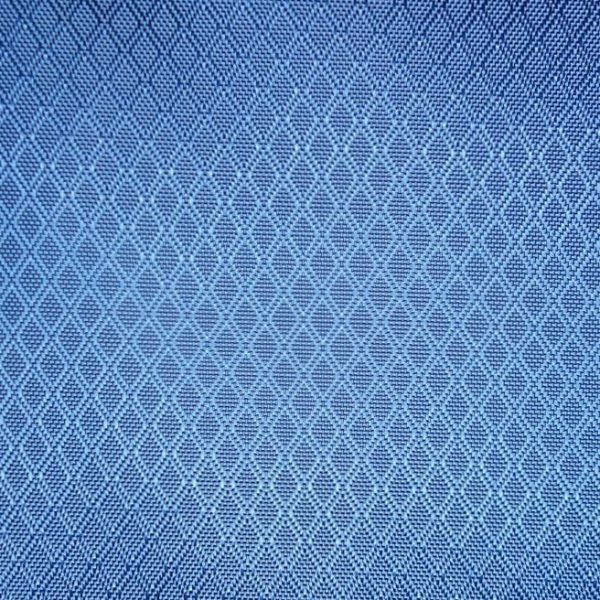 It is also possible to use different fabrics including some variants of DCF. We usually have some color choices as well. Contact us for more info. 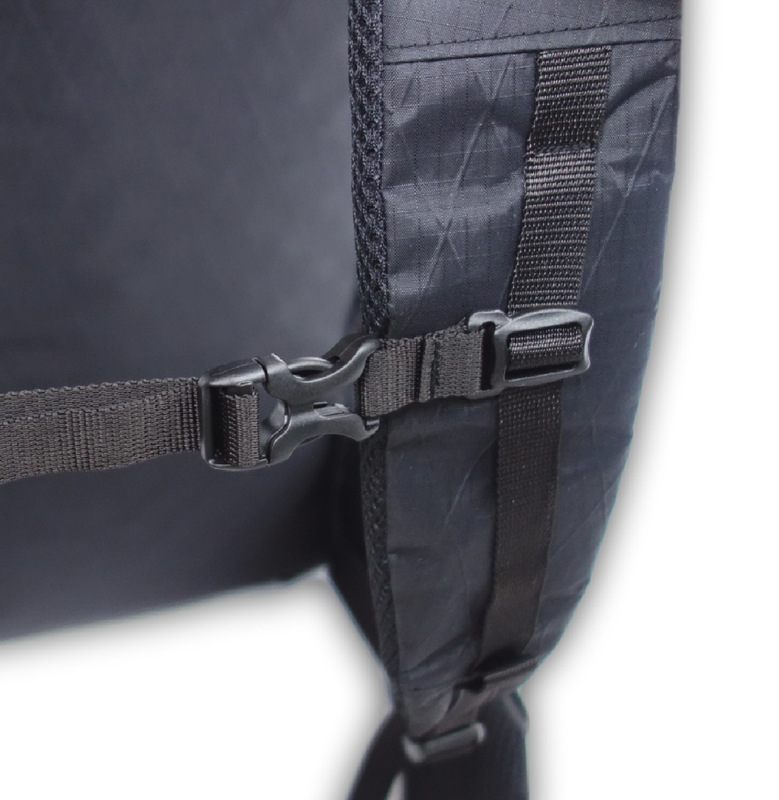 By default the backpack is a combination of VX21(only bottom) VX07 (main body) and 330D Cordura® (side pockets, shoulder straps). 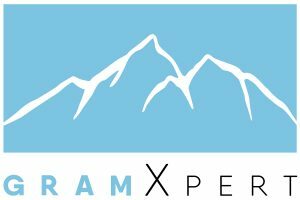 Body can be also made entirely from VX21 for best durability. 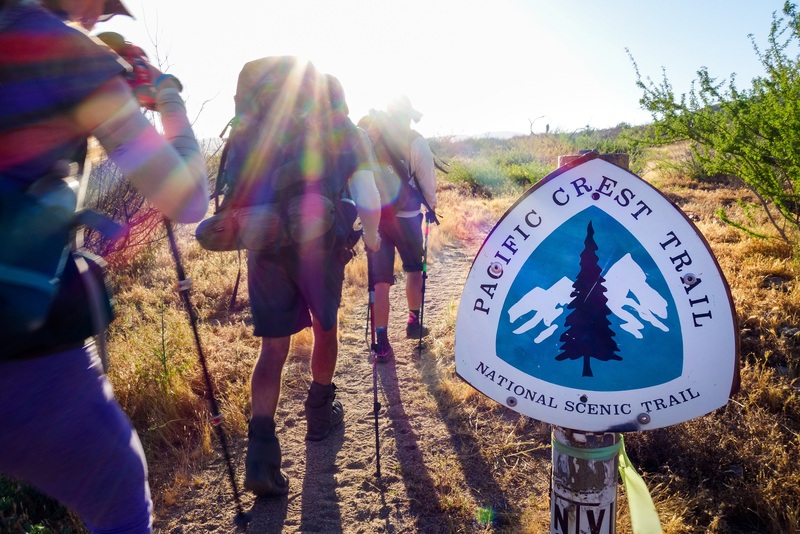 White polyester backing makes it easier to see the contents of your backpack. 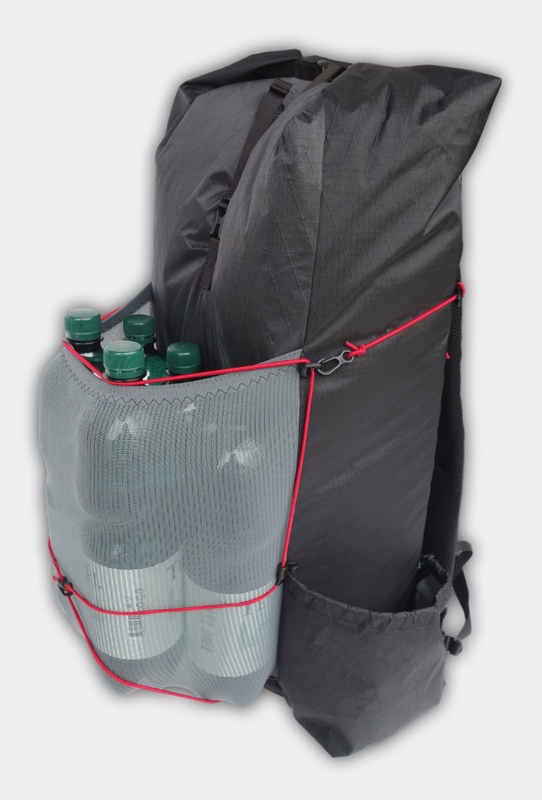 Very stable - easier to put things in/out of the backpack. 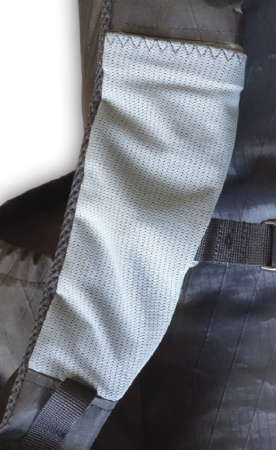 Simple 25mm webbing - Just a simple removable webbing belt with a buckle. Hip belts are padded 9mm Evazote EV50 foam and 2mm 3D spacer mesh. 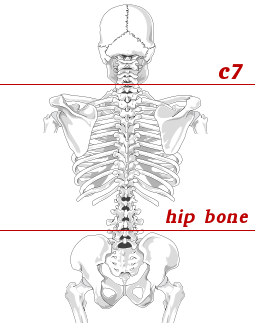 Use a flexible measuring tape and have someone measure your torso from C7 vertebra to the top of your hip bone. Measure multiple times to get the most accurate results. If you fall just between the sizes, we recommend you pick the smaller size. Measure your hip circumference. Be careful to measure around your hips and not your waist! 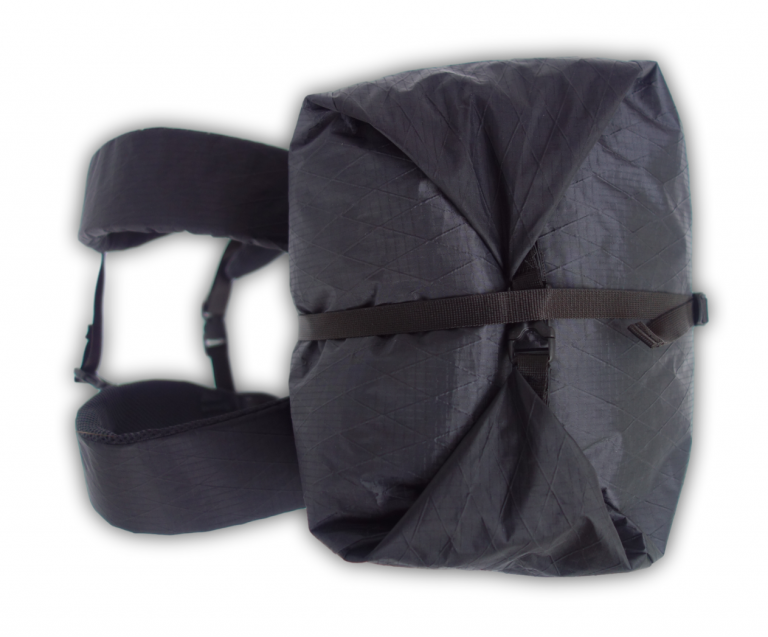 For maximum comfort, the padded part should overlap the front end of your pelvic bone. 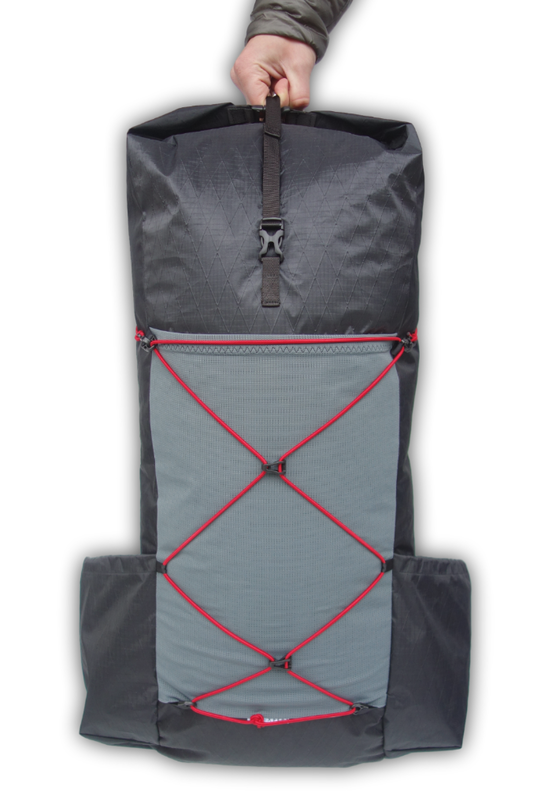 One side - We will add an integrated pocket on your left side (easier to reach with right hand). 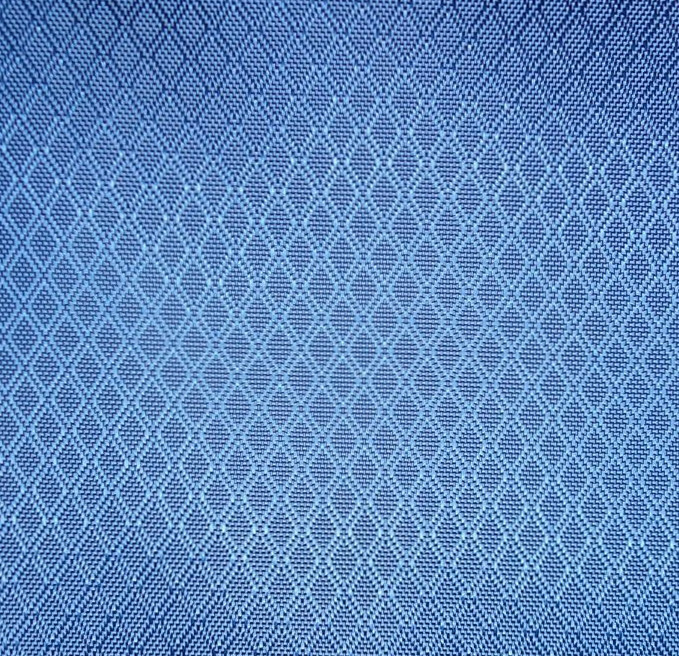 If you want pocket on right side let us know in the comment section on the checkout page. Both sides - We will add integrated stretch pockets on both sides. 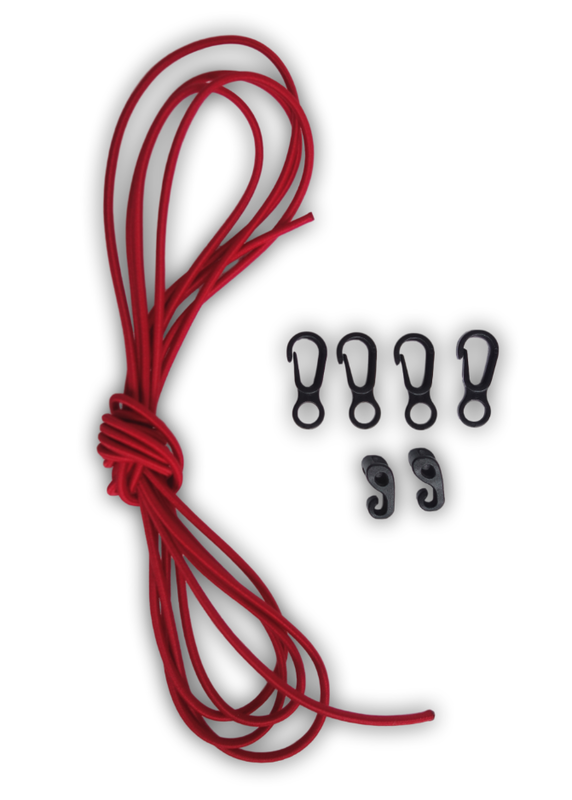 The pack comes standard with a shock cord kit which we can install for you. 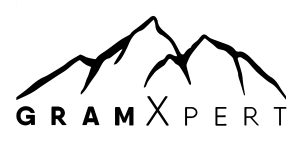 None - You will receive the complete kit which you can install if you need it. If you select Yes in product options add +26g to the final weight. We do not charge any extra for that. 34+8L is a scaled down 42+10L version. More narrow with slightly smaller side pockets, height is the same.